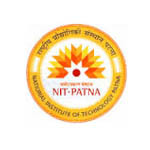 National Institute of Technology, Patna is the 18th national institute and 6th oldest institute of engineering in India. NIT was established in the year 1986 as a Bihar college of engineering. Bihar college of engineering renamed with National Institute of Technology in the year 2004 by Ministry of HRD. National Institute of Technology is located on the south bank of holy river Ganga behind Gandhi Ghat, one of the most important place of Patna. NIT campus is 8 km far from Patna railway station and 20 km from Jai Prakash Narayan International Airport. campus spread over 60 acres of land. The entrance to the institute is from Ashok Rajpath and it is about 3 Km from the famous Gandhi Maidan. The campus has more than 77 reputed faculty members from all departments. National Institute of Technology has a state of art infrastructure houses in well stocked library with 55,000 volumes of books, computer centre with 190 latest system, separated hostel facility for boys and girls, canteen, sports facility, transport facility, well equipped labs and workshops. The campus has three societies named cultural society, common room society and outdoor society which organize the indoor and outdoor sports activities and cultural and technical festival named “Melange and Corona” subsequently.